You may have high blood pressure and not even know it. Yet high blood pressure greatly increases your risk for a devastating heart attack or stroke. What can you do to discover whether you’re at risk, disarm this silent killer, and increase your chances of enjoying the years you’ve been given? 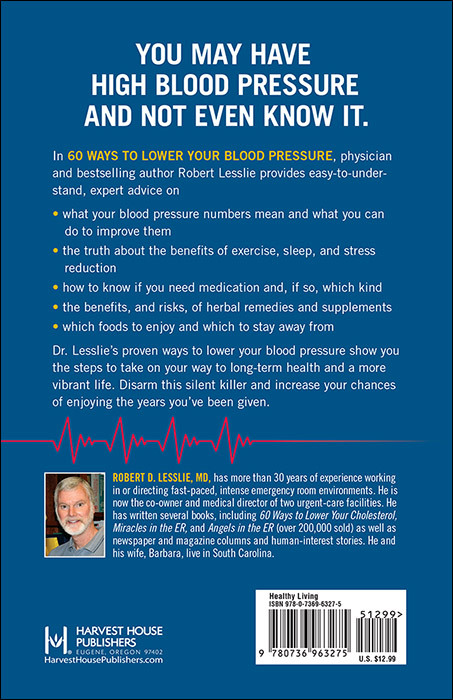 Dr. Lesslie’s proven ways to lower your blood pressure show you the steps to take on your way to long-term health and a more vibrant life. 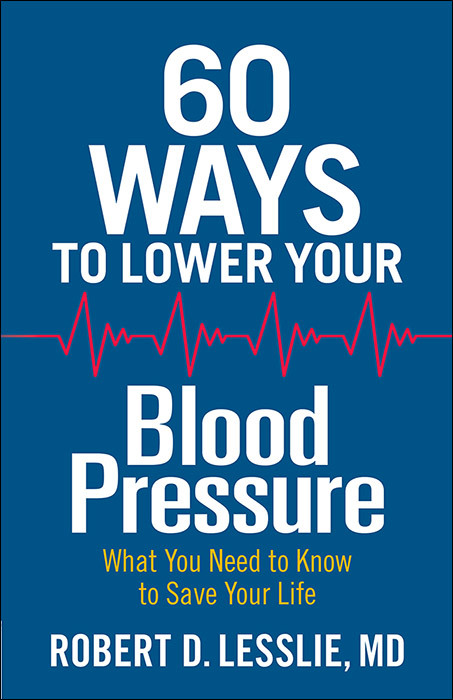 "An accessible, reader-friendly guide, 60 Ways To Lower Your Blood Pressure is an invaluable resource for combating one of the most common health problems in America. Although 60 Ways To Lower Your Blood Pressure cannot substitute for the diagnosis, guidance, or treatment of a trained physician, its practical recommendations just might save or improve the quality of one's life. Highly recommended." "Having experience with high blood pressure in my own family, this book was a no-brainer of a read for me. Packed with lots of good information, attainable steps, necessary actions and healthy lifestyle tidbits, 60 Ways To Lower Your Blood Pressure is a step towards assurance of living longer and better. Either reading the book straight through or in smaller sections, it serves as a wonderful reference guide to HBP. Keeping it on my bookshelf but also sharing it with my affected family members, this is one book I definitely recommend."